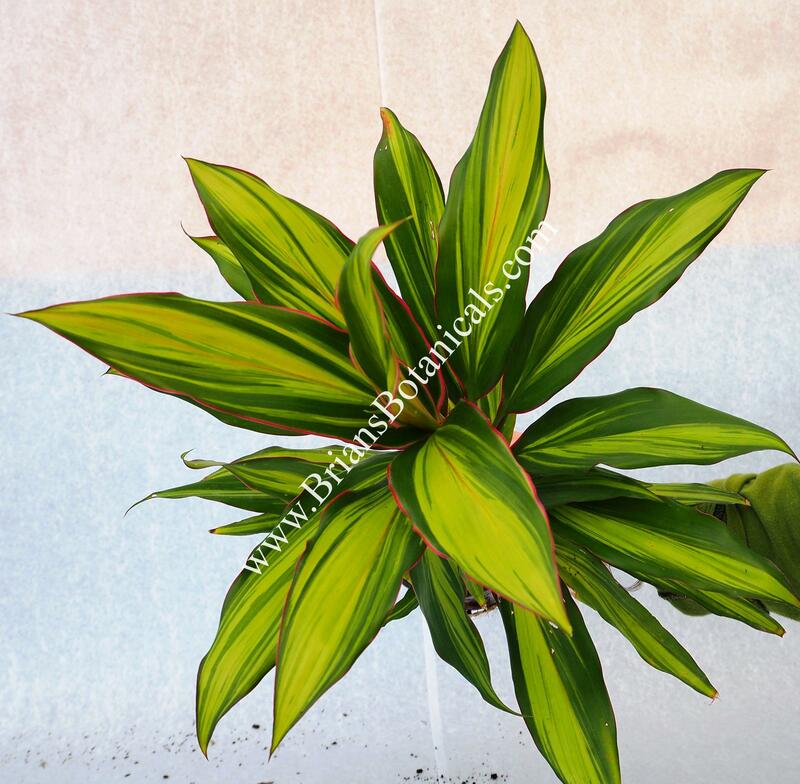 Cordyline fruticosa ‘Kiwi’ a beautiful hybrid Cordyline with dramatic variegated leaves of yellow, green and pink. Plants slowly grow trunks and can reach 6 feet or more high. Great as a container plant in the north or a landscape plant in the tropics.